that supports children with the language skills to embrace a global future. Giving our children the advantage of a second language. We provide an intimate, progressive and multicultural education that is ideal for preparing our children, tomorrow’s leaders, for an international future. We offer a bilingual environment in Mandarin Chinese, Spanish and English which provides an accelerated, activity-based curriculum for children ages one years old to seven. Our program is based on children’s innate ability to acquire language at an early age. 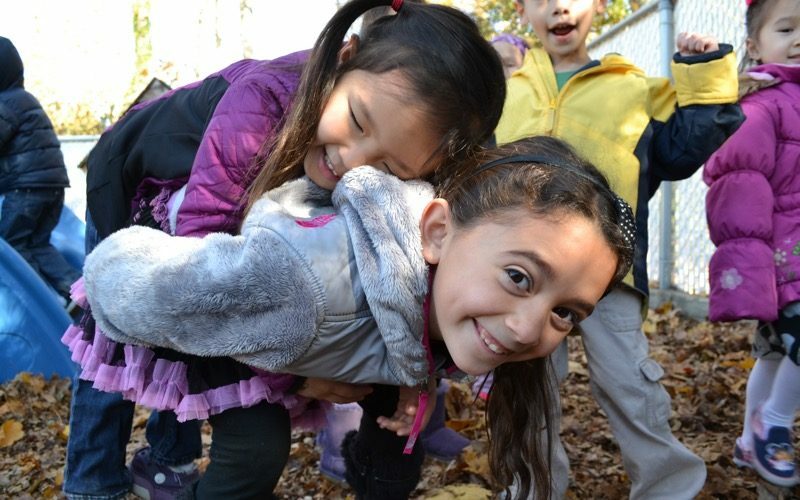 We integrate language arts, mathematics, science, art, music, dance, social studies, culture, computers, character education, and physical education in dual languages. Our Infant classroom provides; personal cribs, separate area for changing and feeding, and our “no-shoes” policy ensures that our baby areas are at all times kept sanitary for playing, eating, and sleeping. As dedicated caregivers we believe that our infants blossom and learn through active involvement and positive interaction. Our Nursery provides babies with the opportunity to explore with age appropriate toys and materials in a healthy, warm and loving environment. These surroundings along with the caring and loving hands of our bilingual Infant staff help our babies build self confidence and fosters a curiosity and enthusiasm which makes their early stages of development that much more joyful. We cuddle, coo, rock, sing and bond with your baby all throughout their busy day. We understand and respect that you are the number one and most important teacher in your infants life thats why we work with you hand in hand every day. If this sounds like the environment you would like to offer your infant, stop by and see for yourself how we are totally dedicated to making your Infant Care our priority. We look forward to meeting you and sharing in the joy of your new infant. We provide a variety of innovative, language immersion school experiences for our youngest learners. Children spend their day immersed in rich vocabulary and academic curriculum where bilingual education materials are presented in a fun and engaging way. Our activity-based, curriculum (including our Mandarin Chinese lessons) stimulates imagination and draws children into the learning process by becoming involved. Our bilingual education curriculum is culturally and linguistically appropriate, hands on, and stimulating to young children’s interests and imagination. Through daily routines and cooperative play, many self-help skills and newfound independence are discovered in our language immersion school. An environment of bright colors, rich language opportunities, and age appropriate language immersion school centers provide optimum stimulation for growth and development. Our Pre-K bilingual education classroom provides a clear academic outline, in which students add to the knowledge learned in the past years’ experience, especially their Mandarin Chinese lessons. Through language immersion, subjects are taught in the target language. This exposes students to more in-depth knowledge and information. Although the majority of our Pre-K students’ days are spent in the target language through Mandarin Chinese lessons and bilingual education, exposure to English Language Arts ensures that learning is integrated across both languages. Pre-K students attend a rigorous daily English class for 45 minutes per day, taught by our certified K-8th grade English teacher. Pre-K students focus on written characters, listening, speaking and correct tone daily with songs, chants, and daily lessons. Learning occurs through exploration, hands-on experimentation, and encouraging the students to engage all of their senses. Many areas of our instruction are infused with respect, ethics, peacemaking, and conflict resolution practices. 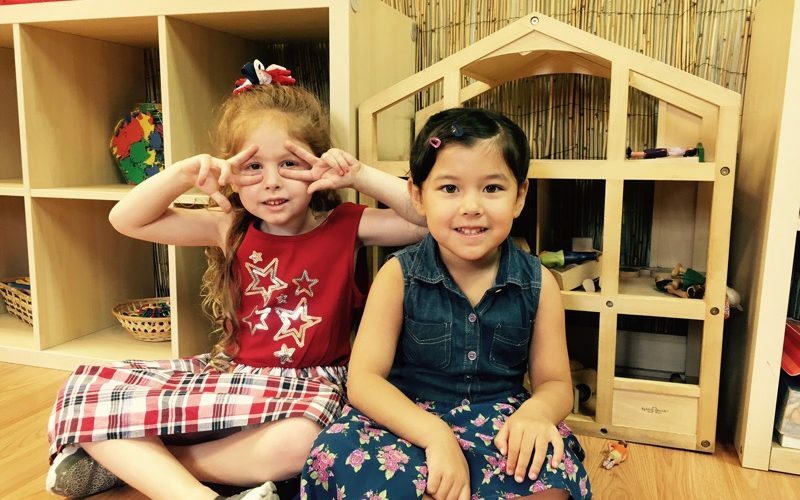 At our language immersion school, we encourage individualism, leadership, and communication while character development is integrated into all aspects of life at Bamboo Shoots. In kindergarten, students continue to build content knowledge through a challenging, inquiry-based curriculum, including Mandarin Chinese lessons. Language skills expand rapidly at this level of bilingual education as the children communicate in complex compound sentences. They also add to their vocabularies daily. Our language immersion students focus on written characters, correct stroke order, sentence writing, punctuation, and reading. Through this level of bilingual education, students develop advanced cognitive reasoning, abstract thought, and mental flexibility to use language in multiple ways. Mandarin Chinese lesson teachers also work with students, helping them understand and execute multi-step directions through bilingual education. Teachers also challenge students to stretch beyond their age and grade level. Multi-level learning is prominent in this class due to ongoing academic assessments, small group work and individual attention. With this magic combination, our language immersion school students are achieving high levels of proficiency and aptitude in Mandarin Chinese and English. In 1st and 2nd grade, students require sufficient Mandarin Chinese lessons and proficiency to enter the program comfortably. Here, bilingual education students continue to develop the essential skills of reading, writing, mathematics, effective communication, and problem solving, while using technology to support this learning. Through continued language immersion schooling, they also tap into their creative potential through the arts and find joy and discovery in learning. At this level of our language immersion school, students develop skills essential to success in all academic endeavors, and they come to understand how they learn best. Our Mandarin Chinese lessons also seek to challenge students with rich and rigorous curriculum relevant to the group and responsive to individual strengths and abilities. In addition, bilingual education students continue to build content knowledge through a challenging, inquiry-based curriculum. The curriculum uses a topic-based approach, combining individual and group projects to give children the opportunity to better understand key concepts as well as ways they and others think about our world. 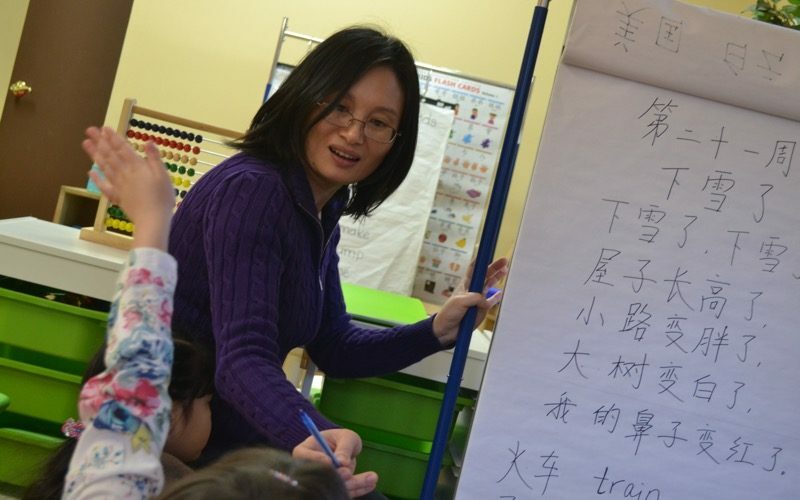 Our language immersion school’s teachers use a combination of progressive bilingual education techniques and number of Mandarin Chinese lesson materials. This includes teacher-created materials as well as computer worksheets, Chinese textbooks, workbooks and other resources to aid in student comprehension. In addition, we use key components of the Ma Li Ping’s teaching philosophy for Chinese language arts. This bilingual educational curriculum was specially designed for children who are the journey of learning a second language through a full immersion environment. 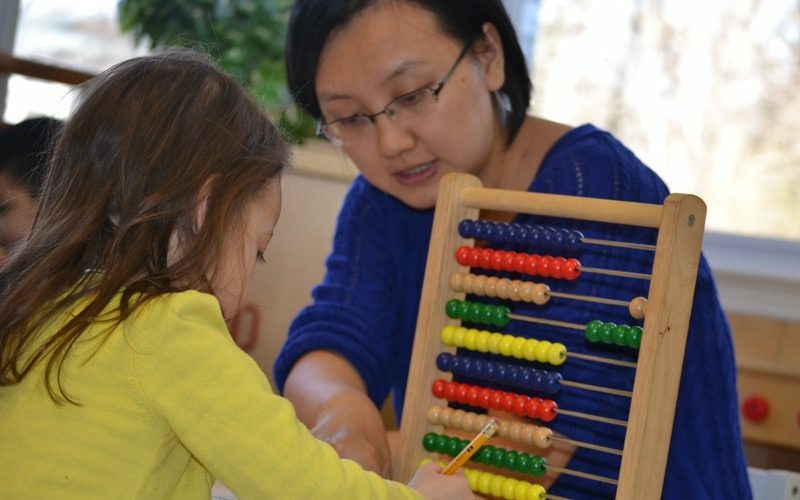 Our Chinese immersion school’s unique combination of math courses exposes students to essential mathematic and numerical concepts, including whole number recognition, operations, relations, one-to-one correspondence, geometry, spatial relations, grouping, and measurement. Best of all, this is experienced while we immerse the kids in spoken Chinese. Our math courses also use text and workbooks like Singapore math and Zhejiang math. These comprehensive materials and hands on manipulatives challenge students with meaningful and increasingly sophisticated math problems with an emphasis on depth and mathematical thinking while they learn to speak Chinese. Capitalizing on children’s fascination with the everyday world to foster language and literacy development is a focus at our immersion school. It is not exaggerating to say that children are innately prepared to learn about the world around them, just as they are biologically prepared to learn to walk and talk and interact with other people. Effective math and science courses that build literacy require every student be frequently and actively involved in exploring nature in ways that resemble how scientists themselves go about their work. 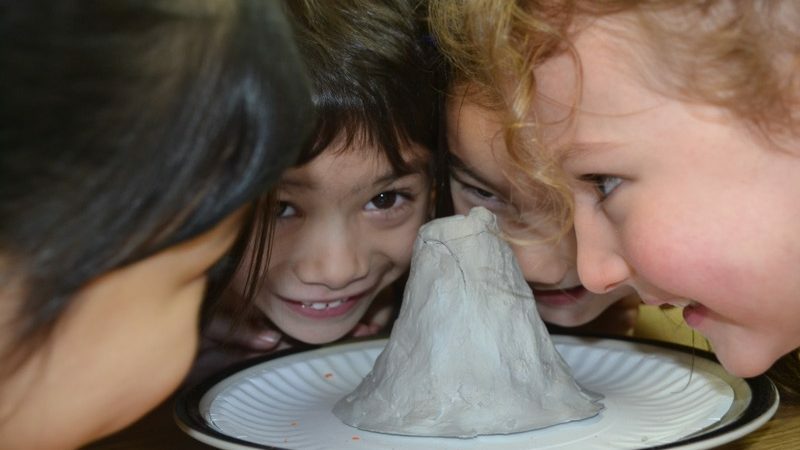 Our Mandarin Chinese school’s approach to science courses is giving our immersion students the time for exploring, making observations, taking turns, testing ideas, doing things over again, asking, reading, and discovering – not just memorizing scientific facts. Although all subjects at our language immersion school are taught in the target language, exposure to English Language Arts ensures that learning is integrated across both languages. Our daily English Language Arts program encompasses both oral and written experiences with an emphasis on the five strands of Language Arts. Reading, writing, speaking, listening, and viewing visual literacy. Students begin to form an understanding of the reading and writing process and will further develop an understanding of the English language, which is accented with dual language immersion. This English class is provided school wide (Little School – 2nd grade) and taught daily by our certified K-8th grade, dual language immersion English teacher. Young children have much to gain from use of technology. That is why there is so muchimportance of technology in education. Computers expand their ability to acquire information, solve problems, and communicate with others. Regular access and exposure to computers and related technology can enhance this learning, including learning Chinese. At our Mandarin Chinese school, children use engaging, age-appropriate, and challenging software, and technology to extend their knowledge and to enrich their learning to curriculum content and concepts. These technologies serve as important learning tools (technology in education) and are integrated throughout the instructional program. Children learn the basic functions of the computer and related technologies. They develop techniques for handling and controlling various input devices whilelearning Chinese, and become increasingly confident and independent users of age-appropriate software programs and technology. 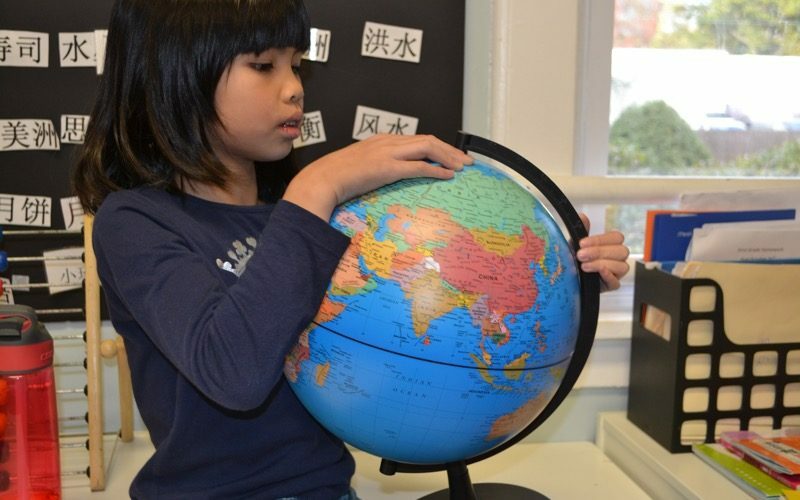 Our Chinese immersion school’s global studies cover subjects including social studies, culture, history, and geography. In this core subject, students are introduced and explore throughout the school year countries, continents, as well as the basics of different country’s history, geography, culture, and cuisine, all while learning Chinesethrough immersion. 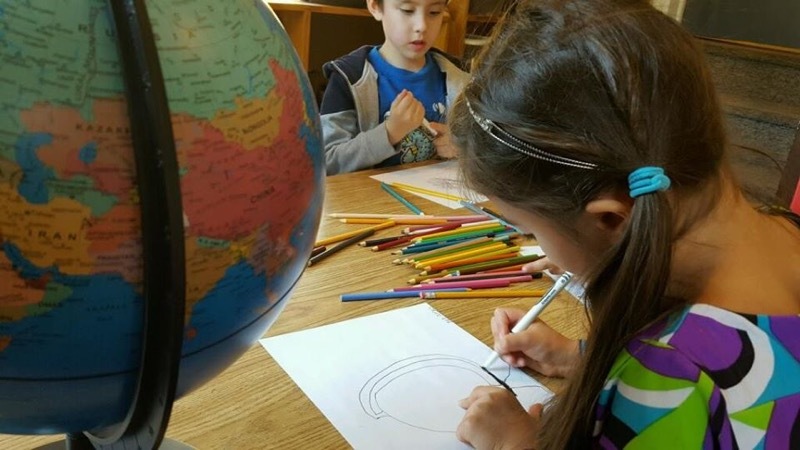 The global studies curriculum at our Chinese immersion school caters to our multi-level classrooms and is presented accordingly in the target language. Our goal is for every student to gain a broader global perspective and a sense of connection with peoples and countries from all around the world. Children’s work defines our spaces Our unique art program engages young children in creative exploration, builds cognitive and physical skills and supports children’s development through art lessons. Through this core subject, children are encouraged to explore their creativity through hands-on art experiences as well as language immersionthat also provide the opportunity to gain essential early learning skills. 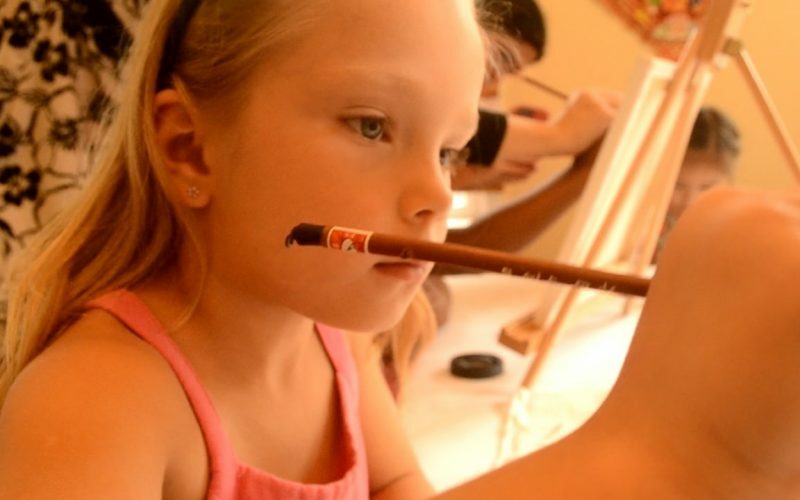 Our approach is based on the belief that very young children need meaningful art experiences, ones that are both authentic to the child’s emerging sense of self and valuable to their growth and development. In addition to creating art, our students learn various historical and cultural art types, which have generated artistic accomplishments throughout the ages. This cultural crossing pairs perfectly with our Mandarin Chinese lessons and is thoroughly enjoyable. Each student will utilize art elements and art media to freely express their creativity while experimenting with culturally diverse materials and media from around the Globe while experiencing language immersion. Morning music provides students with a unique daily opportunity to learn, experience and ultimately have a greater understanding of Chinese dance and culture. This morning tradition complements and enriches the areas of multicultural studies and provides a rare hands-on opportunity for students every day. Melody and tone are prominent expressive features of Chinese music, and great emphasis is given to the proper articulation and inflection of each musical tone. * In addition we offer a unique music program which is included in your child’s school year tuition. Professional violinist and teacher Alisa Wyrick , provides Level 1 group violin lessons using Suzuki-based teaching methods to all Bamboo Shoots students. Students learn how to position themselves, to hold both violin and bow, to care for instruments and to play early violin repertoire. Classes culminate with semester ending performances for all families to enjoy. Yoga helps children achieve a sound mind in a​ sound body by exercising the physical body and calming the mental spirit. Yoga encourages children to act with mindfulness and compassion, ​to be brave, to know love and happiness, and to find inner peace. ​This playful class encourages self­ expression as well as building social skills. Children will strengthen their bodies as they learn how to focus through breathing and relaxation techniques. Our native Spanish speaking teachers have years of teaching experience and have a passion for ensuring each child reaches their fullest potential. Our teachers are equipped with the tools to provide a nurturing, high-energy, multi-sensory educational approach in a warm, encouraging environment. Regardless of whether Spanish is spoken at home, children will be able to progress through our program confidently and successfully. 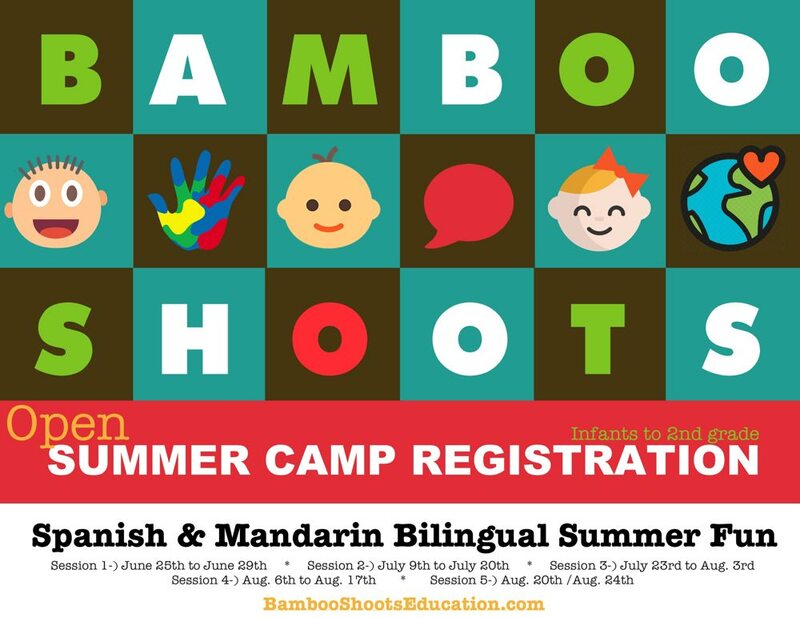 Bamboo Shoots is a Bilingual School that offers both full and half day programs for children ages one to six years old. We provide a variety of innovative, language immersion school experiences for our youngest learners. Children spend their day immersed in rich vocabulary and academic curriculum where bilingual education materials are presented in a fun and engaging way. Summer Camp- Exploring our World in three exciting summer adventures through language and culture!